Heat oven to 350°F. Line 2 cookie sheets with parchment paper. Place cookie dough rounds about 2 inches apart on cookie sheets. 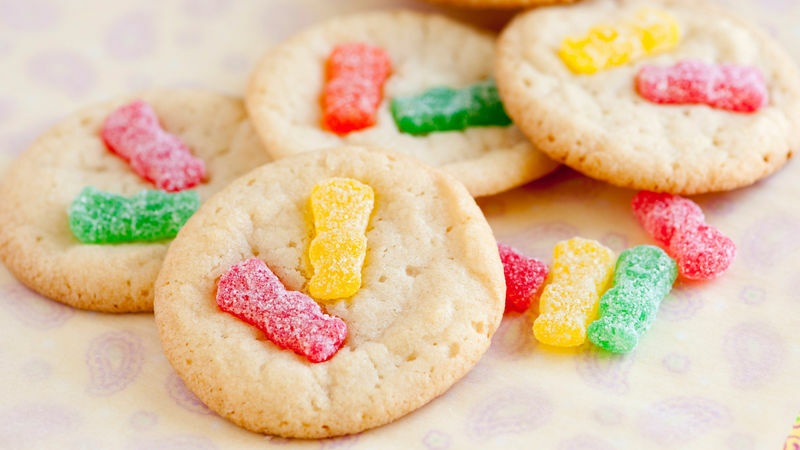 Gently push 2 candies on top of each warm cookie. Cool 3 minutes; remove from cookie sheets to cooling racks. Cool completely before storing. Gummy bears or gummy worms would work well in place of the sour candies. Instead of candy, top the warm cookies with a few fresh blueberries.